The recent government shutdown highlighted by the President’s push for a border wall has reignited the debate over how to curb illegal immigration. 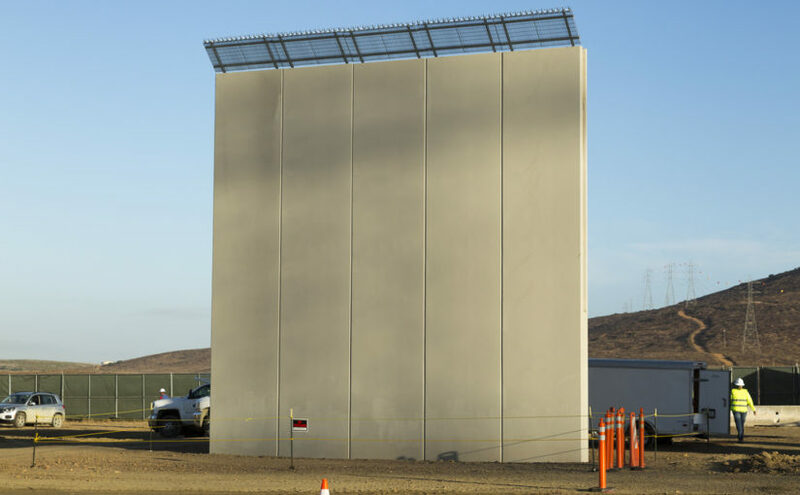 Many believe that a wall is necessary for stopping illegal immigration. However, while the President’s border wall would help fight illegal immigration, the reality is that a wall is not enough. The majority of illegal immigrants would never face a potential wall, given that most illegal immigrants are a result of overstayed visas. Furthermore, illegal immigrants will only evolve with a wall in place, just as drug smugglers continue to evolve and evade border patrol every year. Given these circumstances, in addition to a border wall, the government must reform current immigration policies. Specifically, the government must continue to fight illegal immigration by passing policies that will disincentivize illegal immigrants from coming in the first place, double down on deportations for those who have entered illegally, and reform current policies at the border. Currently, the United States offers a rich job market, which in turn encourages illegal immigrants to flock to the United States. Many employers continue to hire illegal immigrants, as they are able to pay a lower wage as a way to lower their wage bill. Ending this mutually beneficial relationship must be the first step in the fight against illegal immigration. By enforcing harsher penalties on employers who hire illegal workers, the government can end this relationship. In addition, the government must make the E-verify system, an in-place tool that identifies workforce eligibility of individuals, mandatory for all employers. This system has already worked in individual states and would help ensure employers and the government that all hires are legal. By implementing the latter policies, the government would remove the main motivation for many to come to the United States illegally. The government must also broadcast a no-nonsense policy on illegal immigration. This starts by cracking down, locating, and deporting illegal immigrants. Additionally, this means outlawing or ending sanctuary cities, which prevent ICE from finding and deporting illegal immigrants. While it sounds harsh, doing so would show the world that the United States does not tolerate illegal immigration and will go to any means to stop it. In addition, arguably most importantly, the United States must reform its policies at its border. This starts by rebuilding the ineffective asylum system. Currently, the United States is getting berated by asylum applications and have reached a point where there are too many to process. This has, in turn, helped increase illegal immigration as many realize that their asylum application will not even be looked at, let alone granted. Hiring additional workers would help speed up this system and in-turn encourage many to go through this system and come to the United States legally. Furthermore, the United States must end its catch and release policies which allow illegal immigrants to be released back into the country until their court date. These policies are essentially encouraging illegal immigration, as they allow for illegal immigrants to be released into the United States, even after being caught. While 60 – 75 percent of illegal immigrants do eventually go to their court hearings, catch and release policies allow the remaining percentage, 140,000 cases from 2012-2016, to roam free in the United States illegally. Ending these policies and keeping illegal immigrants in detention centers would help curb the growing illegal immigrant population within the United States. While it may cost additional funds to build more detention centers, it would be minuscule to the large bill citizens are already paying to support illegal immigration (see previous article Economics Support Increased Border Security). There is no easy solution in curbing illegal immigration. While the President’s proposed border wall has its benefits, more needs to be done. It starts with disincentivizing illegal immigrants to come to the United States illicitly in the first place, continues by preaching a no-nonsense illegal immigration policy, and ends with most importantly, encouraging legal immigration. Stopping illegal immigration is more than just a wall and hopefully in the future, if the President can’t get his wall given the Democratic House, he looks for bipartisan policy solutions, including the latter, that will help curb illegal immigration for good.